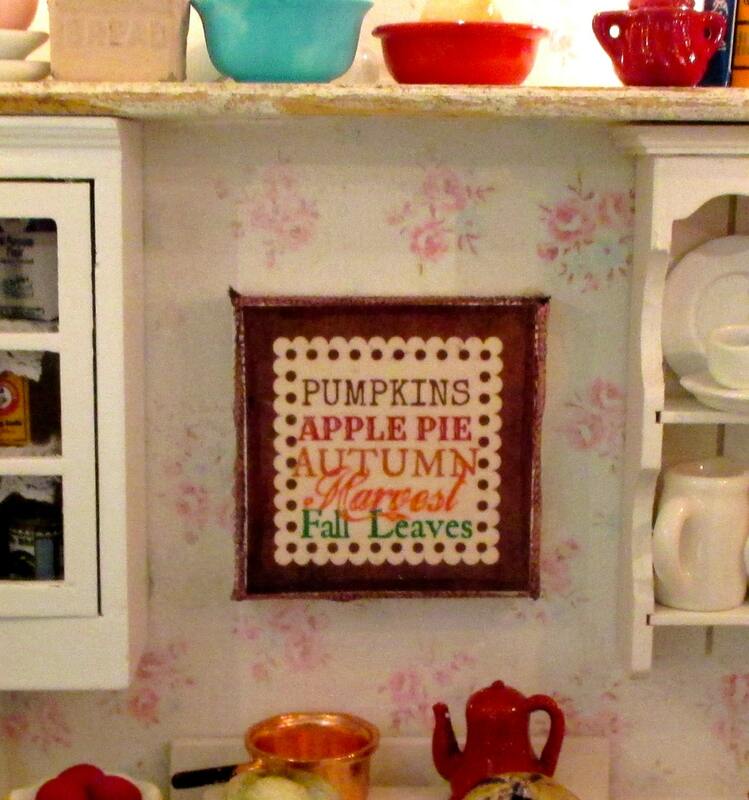 Miniature sign, perfect for your little doll's house, or use it in your home in a fall vignette, next to other fall decor. 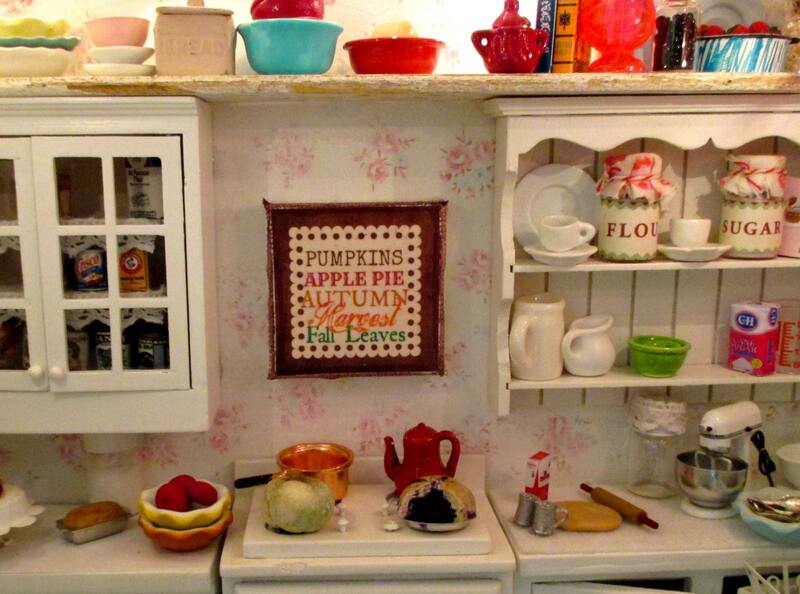 I love little signs and use them everywhere in my home. I like them at eye level, then when guests walk by they see it and enjoy it. 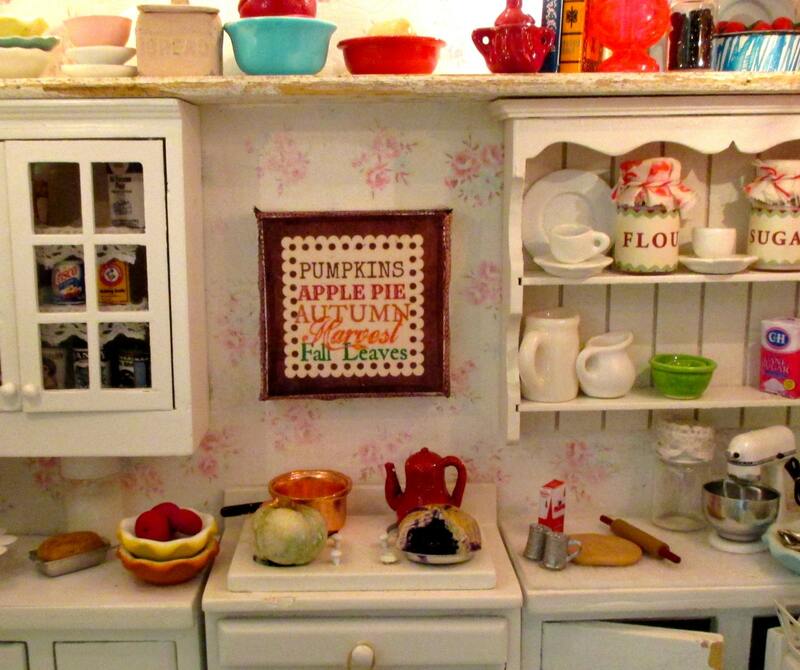 Here it brings a welcoming touch and a fall flavor to my dollhouse kitchen. Design is adhered to small 2" artist canvas with a wood frame. Easy to hang. Perfect! I'm very pleased. Thank you so much.